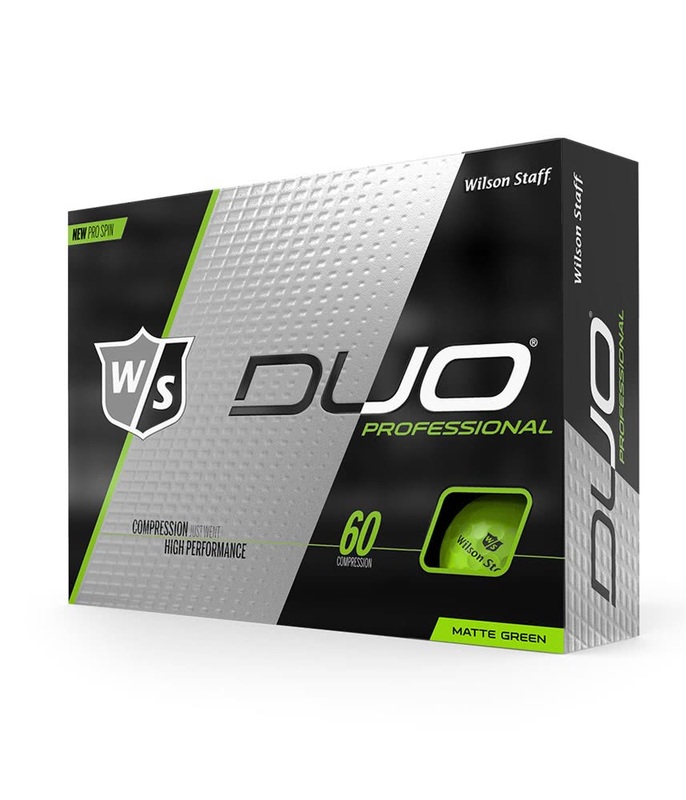 Wilson Staff have created the DUO Professional Matte Green Golf Ball to produce three key attributes that combine to provide the ultimate tour-level performance with the feeling of a players golf ball. 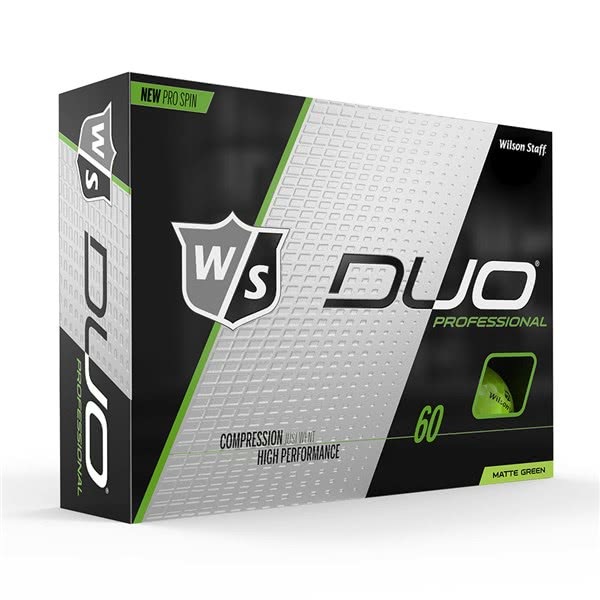 Tour Spin - A cast Urethane cover provides optimal spin for greater control around the green and from 100 yards and in. 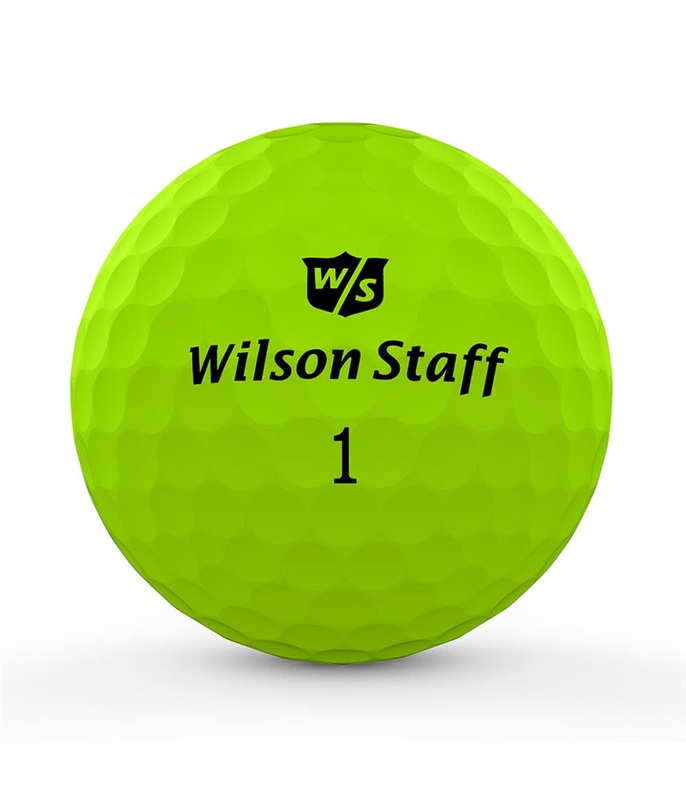 The cast Urethane cover is also highly scuff-resistant to provide a ball that will last and perform longer. 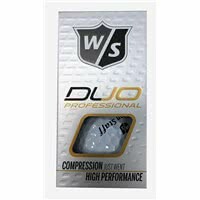 Tour Feel - An amazingly low core compression gives with DUP Professional Golf Ball the ultimate soft feel all the way through the golf bag. 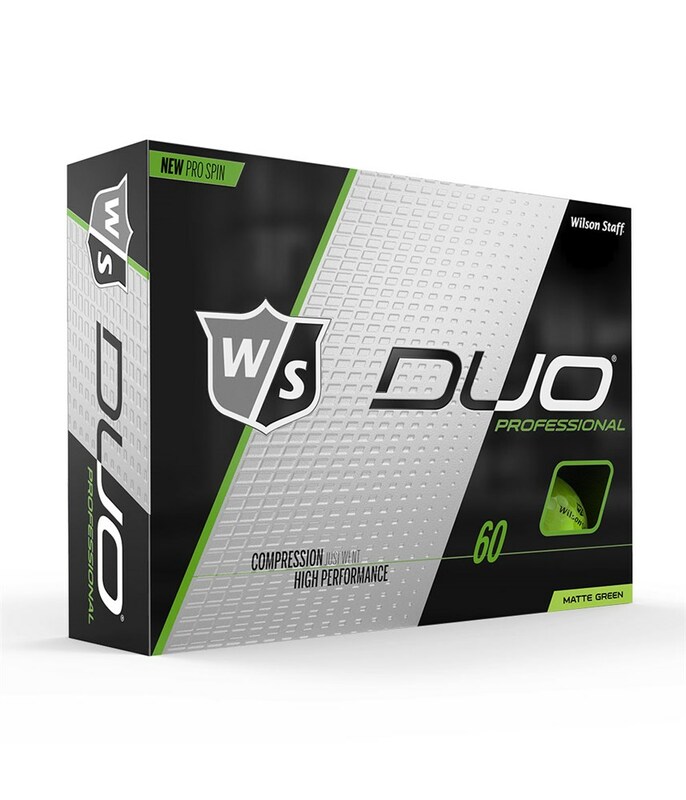 Playability - The combination of a mid-hardness Ionomer Mantle and a 362 seamless dimple pattern produces a softer feel with added control for your shorter irons and wedges with enhanced trajectory and distance control. 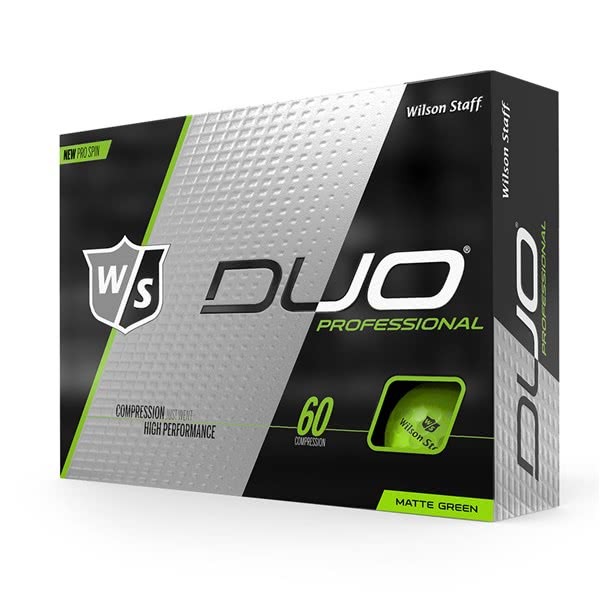 Because of the properties of the DUO Professional Golf Ball, it allows an amatuer golfer to play a premium golf ball without sacrificing performance. 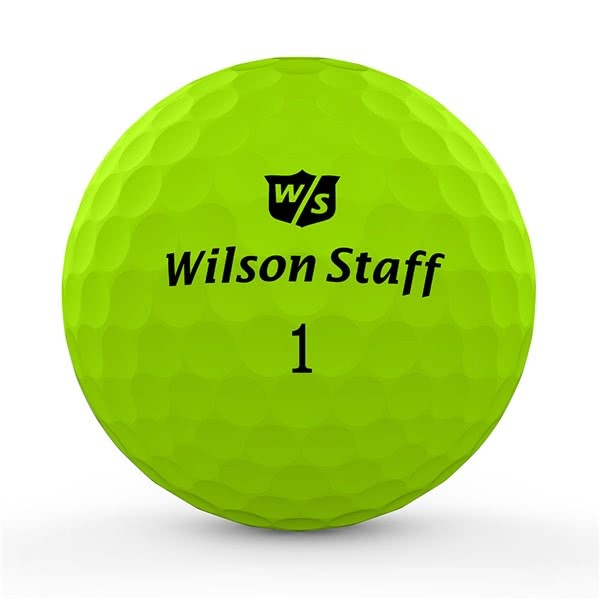 To appeal to a wider spectrum of golfers, Wilson Staff offer the DUO Performance in standard gloss white or three excellent matte colours (white, orange and yellow).